The Red Devils are expected to prioritise the signing of a new centre-back for the summer, but it is understood that a new winger is also on their priority list ahead of the 2019/2020 season. 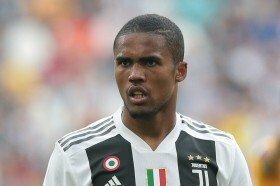 According to Calciomercato, United are planning to revive their long-term interest in the Brazil international after getting to know that Juventus would be willing to sanction his sale. Costa sealed his permanent move to the Turin giants from Bayern Munich at the beginning of the current campaign but he has since struggled for form with just one goal and two assists from 17 top-flight appearances. Aside from United, Premier League rivals Chelsea are also keeping tabs on the experienced winger, who is capable of playing in multiple positions across the attack front. He was previously valued at around £60m by Juventus but that asking price is likely to reduce ahead of the summer transfer window amid his recent struggles.